This is about the time of year where my one-woman-sweatshop goes into extra sweaty mode. There’s enough time left before Christmas to dream big DIY dreams, but not so much time I’m totally anxiety-free when considering what I hope to accomplish by December 25. Sometimes the hardest part is coming up with the perfect DIY gift idea to make someone–something you can make semi-quickly that they will also value and appreciate. 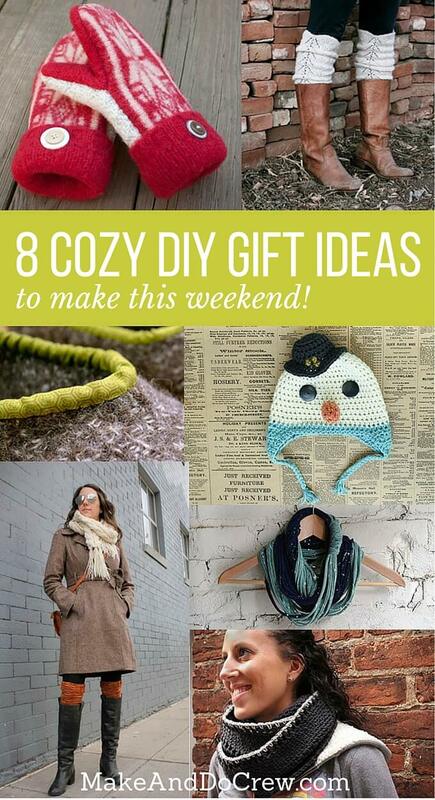 So today, I give you eight extremely cozy DIY Christmas gift ideas where the final product is sure to warrant the time and love (and sweat) you put into it. 1. 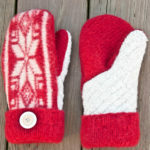 Recycle an old wool sweater into a pair of killer mittens with this simple mitten tutorial (+ free printable pattern!) There are so many possibilities with this pattern. Head to your local thrift store, buy every wool sweater you can find and then make some finger flair for everyone you know assembly-line-style. How fun does that sound!? 2. 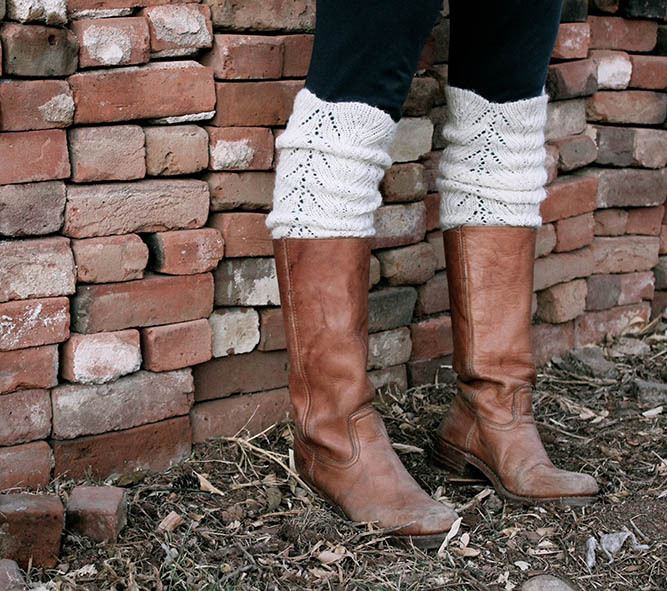 Give the gift of warm calves with this simple knit boot topper pattern. They’re super quick to knit up and can be endlessly customized. This beginner pattern is perfect for knitters who are just getting the hang of double pointed needles. 3. Forget glass slippers. This Christmas felted wool slippers are where it’s at. 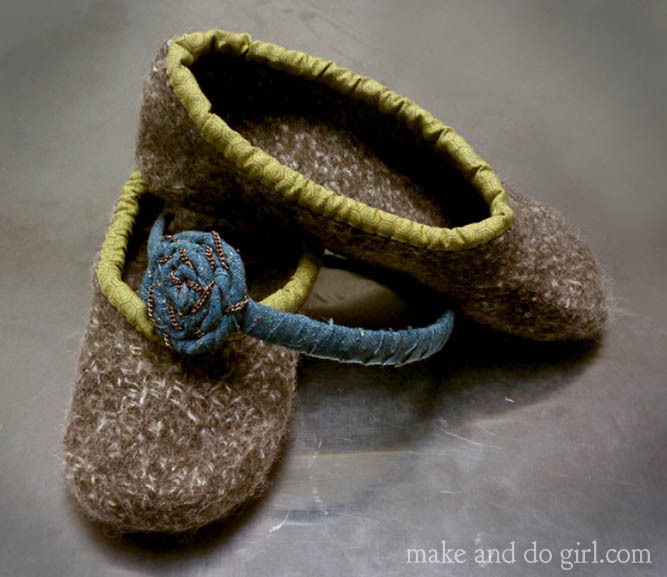 Knit these quick puppies up, throw them in the washer to felt them and add a bit of decorative trim. You’ll be done faster than you can get through the checkout line at H&M. 4. Don’t know your gift recipient’s shoe size? 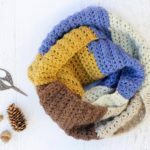 This cotton crocheted cowl is the perfect DIY gift for someone whom you’d like to bundle up in love. 5. 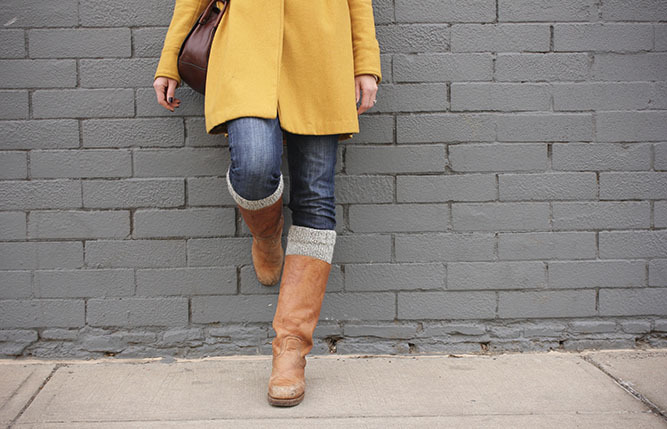 And if speed is the name of the game with your DIY Christmas gifts this year, grab a bunch of thrifted sweaters and transform the sleeves into sets of DIY legwarmers. 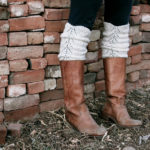 With minimal sewing, you can have a hip pair of legwarmers or boot toppers in about 15 minutes. 6. 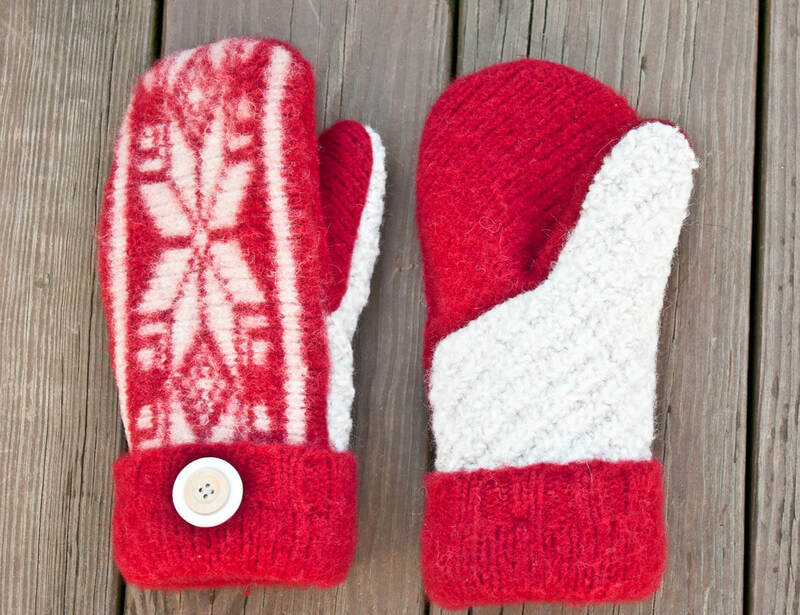 When you’re looking for a DIY gift idea that says, “I love you, but not enough to make you full gloves,” this free fingerless mitt pattern is your best friend. These take one skein of yarn and a couple hours to make. Done and done. 7. If learning to knit or crochet was the one 2015 resolution you didn’t get around to, don’t despair! This splatter paint t-shirt scarf tutorial requires no knitting, crocheting, sewing or public speaking skills. Simply grab a pair of scissors and go to town. 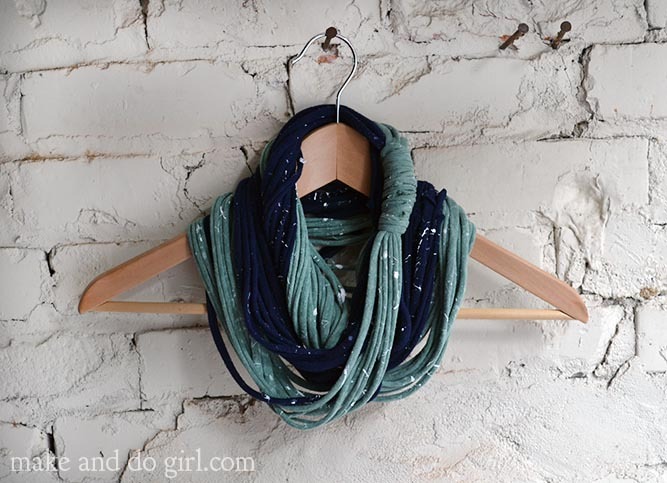 These DIY scarves can be made in so many different ways and only cost about $1 each. A win all around! 8. 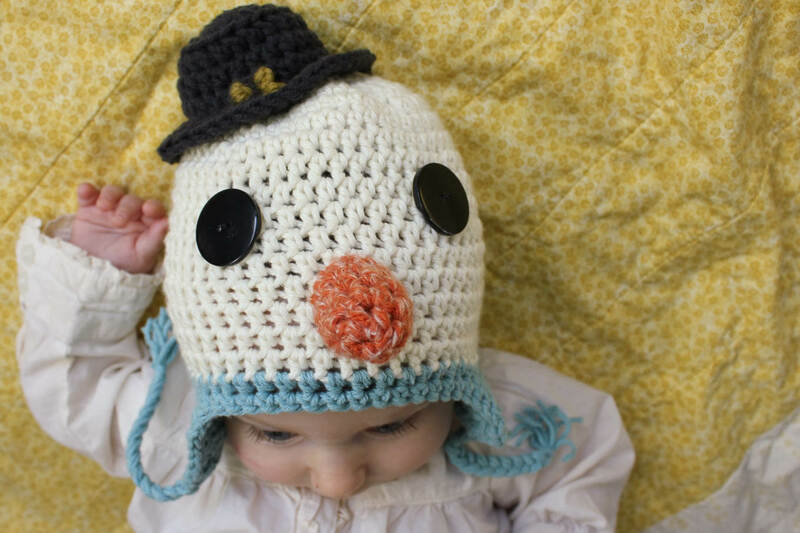 And for the smallest gift recipients in your life, there’s pretty much no cuter DIY gift to give than this crochet snowman hat. Of the many things I’ve made to adorn my children’s heads, this definitely has one of the highest time-put-in-to-compliments-received ratios. BONUS! 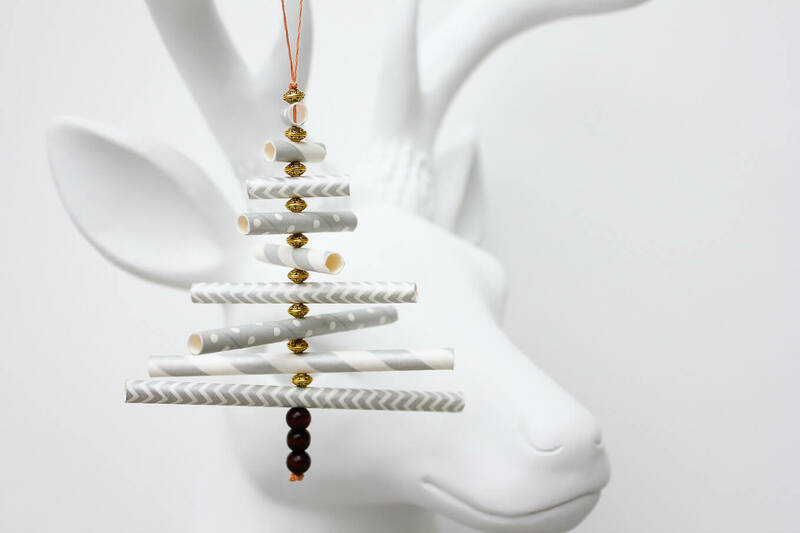 It’s certainly hard to classify paper straws as “cozy,” but once you’ve whipped up some of the DIY Christmas gift ideas listed above, these paper straw Christmas tree ornaments are the perfect gift topper. You can batch make them quite quickly so no one’s gift goes un-topped! « How To Clean Pine Cones for Crafts–See Ya Bugs! Hi Jess, I can’t seem to be able to get the prompt sheets for the memory jar. I didn’t get a password, either. Can you send me a link? Many thanks. I’m so sorry you’re having trouble. I’ll send you the prompt sheets directly. When you subscribed, you should have received an email in which you need to confirm your subscription. (Check your spam or promotions folders.) As soon as you click that confirmation, you’ll get an email with the PW in it. This will give you access to all past and future printables as well.